I would like to share a reflection of the Green School diaspora, and how Green School has already been actively seeding the world of education informally since its inception. I am a life long learner, somebody who has taken on the role of educator since it seems to be the perfect storm between working with amazing people (kids) and discovering a wide variety of amazing things alongside them. I have worked in Green School for 8 years as the Green Studies teacher, Projects coordinator, and now person who likes to get involved in everything exciting. 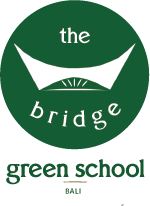 I am starting a new school in Budapest in the fall based on the DNA of Green School.